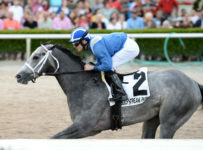 Sunday, August 9 — A longshot and photo finish win by Yourdreamsormine provided the biggest thrill on Saturday’s Florida Sire Stakes card, and was a big reason why there were no tickets with all six winners in the Rainbow 6 at Gulfstream Park. All Rainbow 6 tickets with five winners paid $2,069.76. 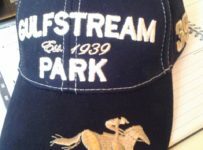 And with $88,724 in Rainbow 6 betting the carryover grew to $164,986 for today’s 11-race card that has a first post of 1:15 p.m.
Yourdreamsormine, at 35-1, rallied from ninth and last place after a half mile to catch the pace-setting Wicked Rascal and win by a head in the $75,000 Unbridled Stakes for 3-year-olds. 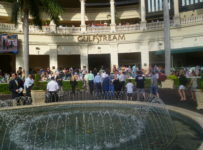 Later today, we will have a story and analysis of the Unbridled and of Saturday’s six other Gulfstream stakes races. 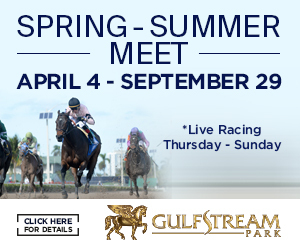 There are no stakes races on today’s card. 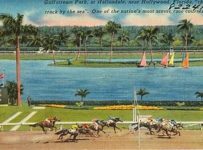 The Rainbow 6 is on the sixth through 11th races. 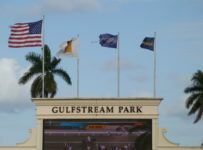 They have 68 combined entries, including main track only and also eligibles. 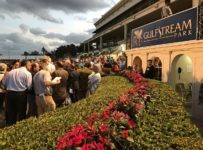 The carryover has been growing because there have been 14 race days without just a single ticket that had all six winners. 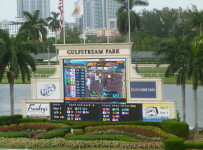 Gulfstream pays out the full Rainbow 6 pool (day’s bets plus carryover) only on days when there is just one ticket with all six winners. On July 16 there was one winning ticket that paid $164,183. 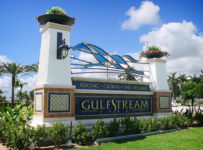 On days when there are multiple tickets with six winners, Gulfstream pays out 70 percent of the day’s new Rainbow 6 bets to holders of those tickets. It adds the remaining 30 percent to the carryover. 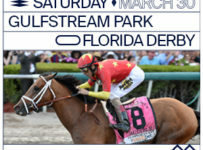 That 70-30 rule also is in effect on days when there are no tickets with more than five winners. The Rainbow 6 is a 20-cent only per combination bet. 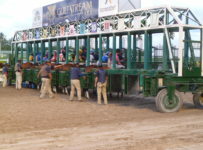 A ticket can have multiple horses race. 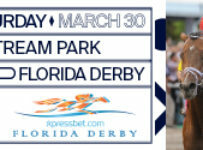 For example, a ticket with two horses per race has 64 combinations and costs $12.80. 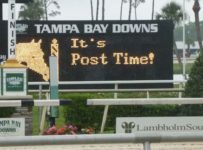 It is likely that $30,000 or more will be bet on the Rainbow 6 today–raising the jackpot carryover to the $200,000 range if there is a single winner.